Dürst Britt & Mayhew present American artist Joseph Montgomery’s first solo exhibition at their gallery from 12 September – 31 October. Montgomery’s work has the structure and syntax of sculpture, but it simultaneously has all the trappings of painting: wood, canvas, various types of coating and paint. The blurring and confounding of classification lends it a strange sense of hybridity. 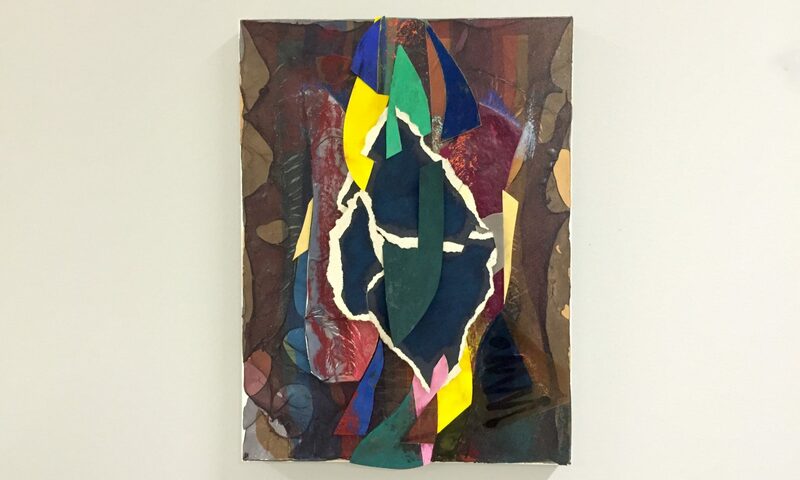 Montgomery’s expansion of abstract painting results in two distinctive types of painting: collages and shims. Lately he also added animation and wallpaper to his practice. Montgomery recently had a solo show at Art Rotterdam, the Massachusetts Museum of Contemporary Art (MASS MoCA) and his work was shown in the much-discussed exhibition ‘Painter Painter’ at The Walker Art Centre in Minneapolis. Recently the Centraal Museum Utrecht acquired two of Montgomery’s works for its permanent collection.